events taking place this winter. Exhibition of 10 portraits of prominent figures in Slovene history as a tribute to the key builders of Slovene European identity, who have gained international fame already in their times and have brought Slovenian culture to the attention of the world. The opening will be accompanied by a short musical performance by singer-songwriter Katarina Avbar & guitarist Peter Dekleva. 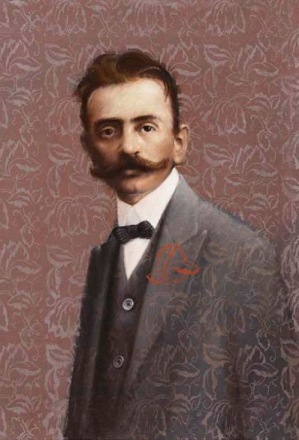 Tomaž Izidor Perko is a renowned Slovenian artist born in Ljubljana (1947). After graduating at the Academy of Fine Arts in Ljubljana, he dedicated his time to painting, restoration and conservation. He has exhibited widely at home and around the world and has won several awards for his work. Katarina Avbar & Peter Dekleva have been working on Slovenian music scene for several years, performing regularly throughout Europe. Together they are also collaborating with a project Rockers Sing Poets. They are currently Artists in Residence in London through Arts & Culture Residencies Programme run by the Slovenian Ministry of Culture. The exhibition will be open to the public 4 - 13 February 2015.